Albert Barron, Sr. Software Client Architect at IBM, realized this on a bicycle ride when he rambled terms like SOA, WS, REST, JSON, SaaS, PaaS, and TLA to a friend who could barely articulate them back, let alone get the point of the story. Recalling a session hosted by a distinguished professor of finance who used real-life examples to explain corporate leveraged buyouts (purchasing a home), Barron decided to tone down the fancy talk and relay to his friend the basic principles behind services that leverage the cloud. 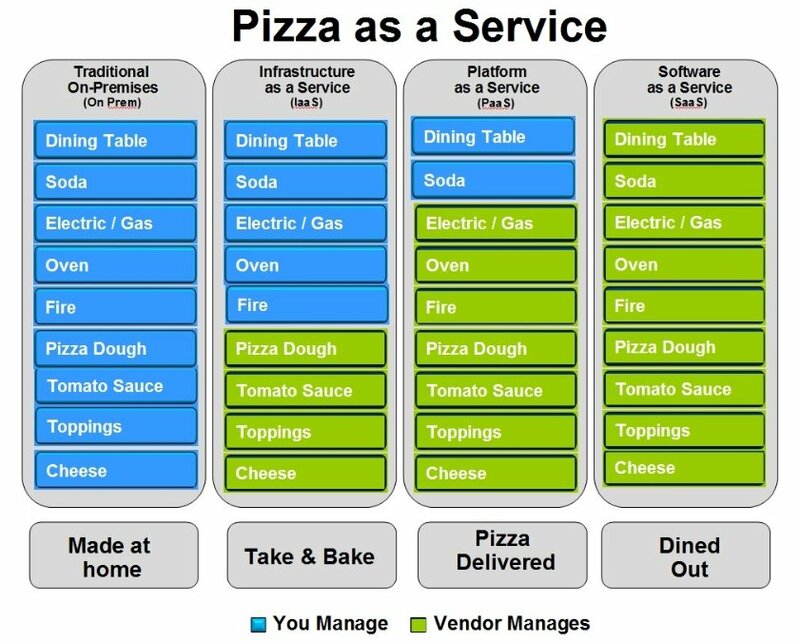 He used pizza – and its underlying ‘components’ – as an example. As it turned out, it’s brilliantly intuitive to explain as a Service this way. Enjoy!